3 Pin compact Microphone Jack Connector offers the shortest XLR cable termination in the entire industry. 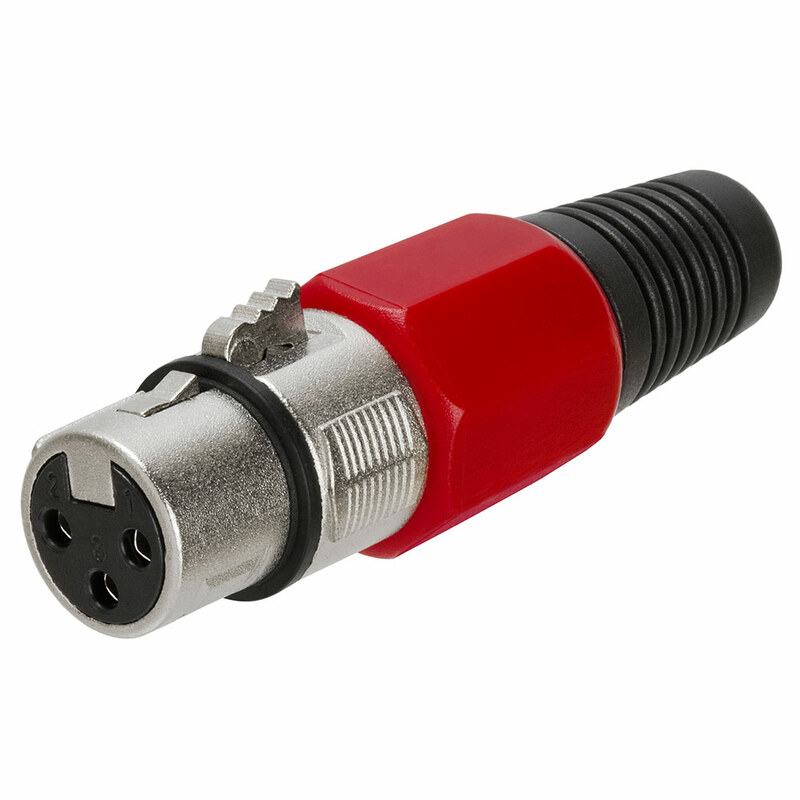 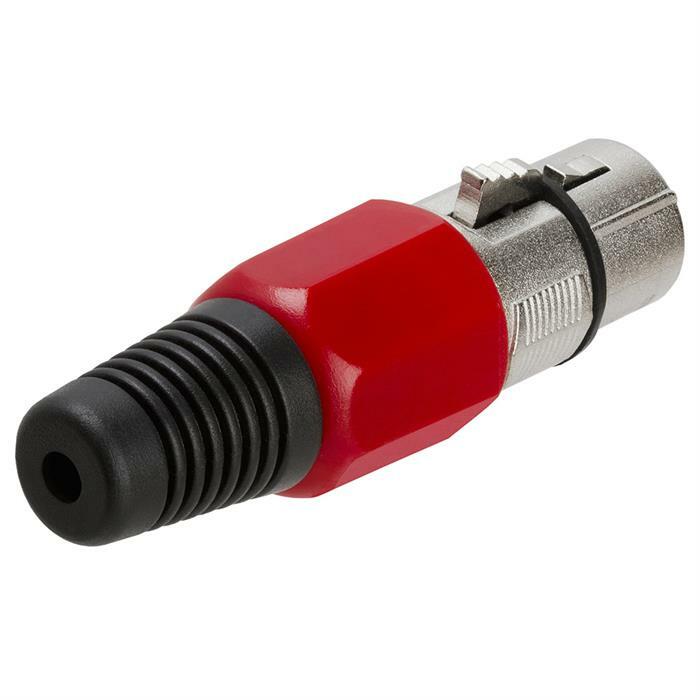 It features an insert that's surrounded completely by metal for protection, and the shell has a rubber O-ring (Red) for secure connection to a male XLR or microphone. 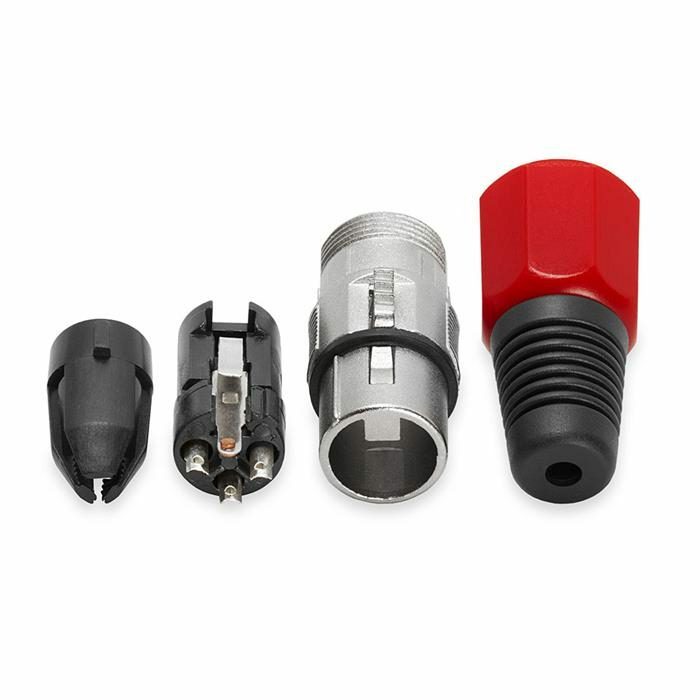 Assembly is quick and easy to use, with no screws to worry about.